Click to view larger and print! 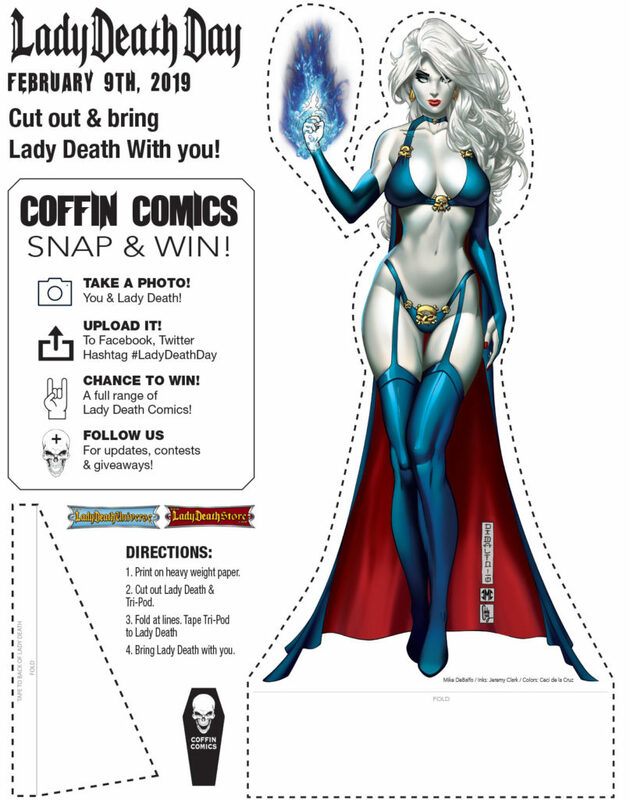 If you don’t have comics, merch or apparel, you can print out and use the above Lady Death cut-out instead! Just click on the image and save!